Abhishek Bachchan is an award-winning Indian actor. 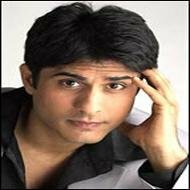 He is the son of Indian actors Amitabh Bachchan and Jaya Bachchan. 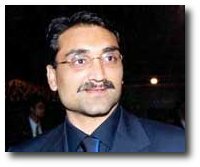 His wife is former Miss World turned actress Aishwarya (Rai) Bachchan. 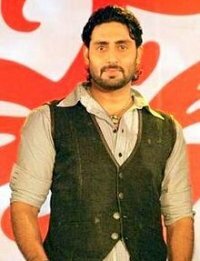 Abhishek attended Bombay Scottish for a few years, not sure how many. Bachchan made his debut with J.P. Dutta's Refugee (2000). After that, his career consisted of films that went un-noticed at the box office. It was not until 2004, that the actor delivered a hit and a critically acclaimed performance, in the films Dhoom and Yuva. His performance in the latter was praised for which he recieved his first Filmfare Award in the Best Supporting Actor category as well as many other awards. Since then, Bachchan has starred in films that have been commercially and critically successful and has established himself as one of the leading actors of the industry. Neerja Bhanot (September 7, 1964 - September 5, 1986) was an Indian flight attendant for Pan Am airlines who was killed by terrorists in 1986.Bhanot was born in Chandigarh, India. She was the daughter of Harish and Rama Bhanot. Neerja was the Flight Stewardess on board the Pan Am flight which was hijacked by terrorists. Got a national award for bravery when she died protecting the passengers against the terrorists. Bhanot was the senior flight purser on Pan Am Flight 73 on September 5, 1986, when it was hijacked by terrorists. She hid the passports of the passengers on the flight so that the hijackers could not differentiate between American and non-American citizens. She was killed while shielding three children from bullets fired by the hijackers. For her bravery the Government of India posthumously awarded her the Ashoka Chakra (India's highest decoration for gallantry away from the battlefield, or not in the face of the enemy). She is the youngest recipient of the award. In 2004 the Indian Postal Service released a stamp commemorating her. With the money from the insurance settlement, Neerja's parents set up a trust account honoring Indian women showing exemplary courage every year. 1981) Son of the legendary Basu Bhatacharya - maker of films like Tesri Kasam and Grihapravesh. Aditya himself made the film Raakh starring Amir Khan. (1985) Fashion Model for Live Shows. Fashion Ramp Model in India. (1988) - Bollywood movie star with movies like Supari, Charas and Dhoom to his credit. 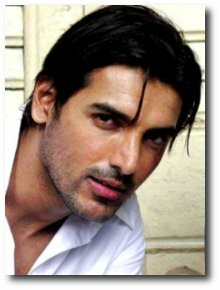 Was a classmate of John Abraham. (1983) Director of the famous Aamir Khan hit film - Raja Hindustani. A successful model with over 100 Commercials and Press Ad's - turned Interior Designer after a course at Parsons New York - Last Project's done - Studio - the Fashion Bistro and Bar , and residence of actor Salman Khan. Ekta J Kapoor, born on June 7, 1975, is the creative head of Balaji Telefilms. She is the daughter of the Indian actor Jeetendra and sister of actor Tusshar Kapoor. Ekta Kapoor has produced and co-produced numerous soap operas, television series and films. Her most famous television venture has been Kyunki Saas Bhi Kabhi Bahu Thi, which started airing on STAR Plus in 2000. Since then, the show has continuously been among the top rated programs on Indian television. Today, Ekta Kapoor dominates Indian television, producing more than eight television soaps for STAR Plus, India's leading general entertainment channel. At the 6th Indian Telly Awards 2006, she bagged the Hall of Fame award for having contributed immensely to the Indian television industry. Most of her creations begin with the letter "K" due to her superstition that it brings her good luck and fantastic reputation. "Queen of the Soap Opera" world with shows like Kyonki Saas Bhi Kabhi Bahu Thi, Kahani Ghar Ghar Ki, and Kusum to her credit. She is the daughter of Jeetendra Kapoor, the actor and director who owns the company with his family. At the age of 25, she was listed in Asiaweek's top 50 list of young entrepreneurs. She was listed in Mid-Day's 2003 list of 50 most powerful people in the media. She has also produced five Bollywood films out of which Kyaa Kool Hai Hum starring her brother Tusshar has been the most successful. Rohan is the son of the great Indian cricketer, Sunil Gavaskar, Rohan has followed his fathers footsteps. 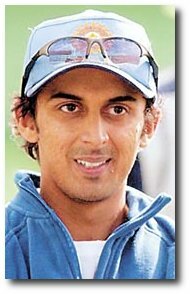 He has represented India in a number of cricket events. Although not as successful as his father, he has carved a nice career for himself in both domestic and international competition. I still remember him batting in the field in school. He was left handed and stood out with his skills even back then. I also share my birthday with him. The text below is taken from Wikipedia. He started Datamatics after working for some time at TCS. He achieved the best possible results in Senior Cambridge, 6 high distinctions in those days. Another movie actor with movies like Khakee, Yeh Dil and Gaayab to his credit. Son of famous movie star Jeetendra. (1993) Won the Diamond International Award. It is the most prestigious jewellery award ever. It is termed the "Oscars" of jewellery. She is the first Indian to win this award and the youngest person to ever win. The award ceremony took place in Paris. She has been interviewed by BBC MTV DD and others.Presently she is launching a new brand for a very prestigious jewellery company called Gitanjali.